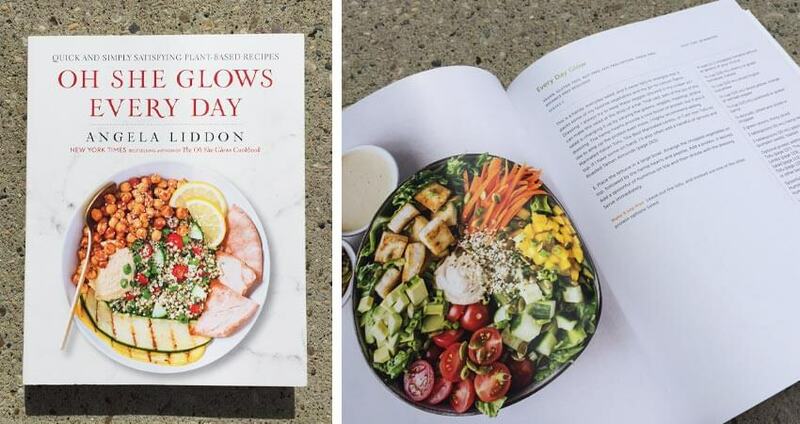 Many of us turn to Pinterest or a popular blog to figure out what to cook for dinner, and while I do enjoy a good session scrolling through Pinterest, nothing quite beats flipping through the pages of a physical cookbook. That tactile experience brings you closer to recipe and allows you to look at pictures larger than screen of your iPhone. Give your eyes a break. Crack open a book. What’s so beautiful about Erin Gleeson’s work is all of her watercolour typography. If you have ever read her blog, you know what I’m talking about. 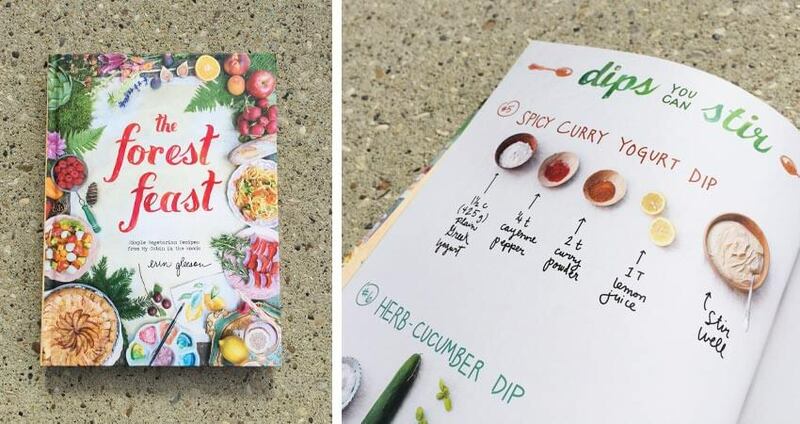 These illustrations are combined with a brightly coloured collage style to make each recipe feel like they came right from her recipe box. Each recipe is simple, with minimal ingredients and directions, leaving ample room to showcase the whole ingredients. 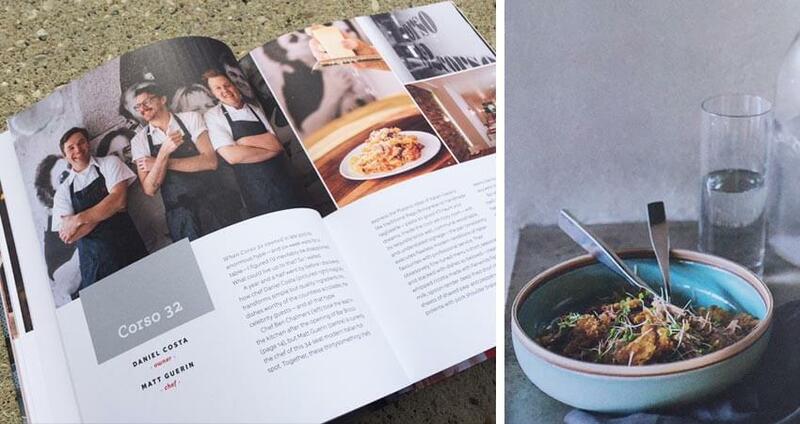 The top view photography is also a huge trend right now, and I’m not complaining–everything looks delicious and gives the entire book a photojournal sort of style. 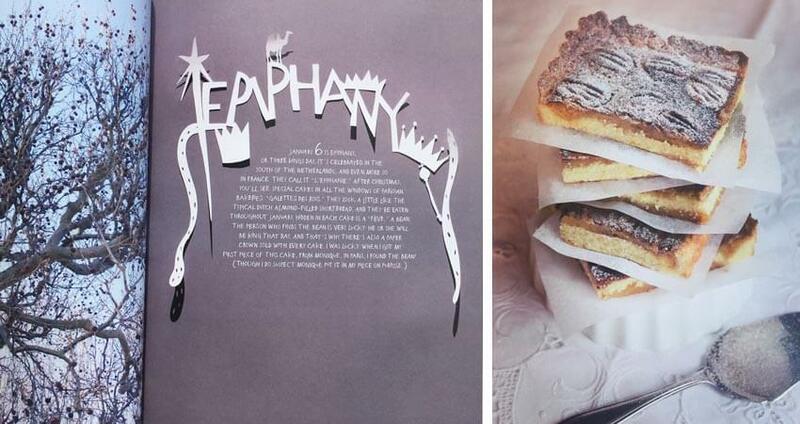 While the design of this cookbook isn’t anything extraordinarily groundbreaking, there are some details that I love about this book. First, highlighting elements of the recipe that can be prepared ahead of time, plus storage and freezing tips is super helpful. How many of us cook a giant portion of food and then question if it’s still safe to eat four days later? These tips definitely eliminate any guesswork. Second, I adore the index of this book. Being a visual individual (aren’t we all? ), I always remember the picture of a recipe before the name. This index displays all the recipes in little thumbnails with page numbers that makes navigating through meals so much easier. Home Made Winter feels special and intimate the moment you open the book. With its collage-style and warm-toned photography, it feels cozy, like a warm hug on a winter day. 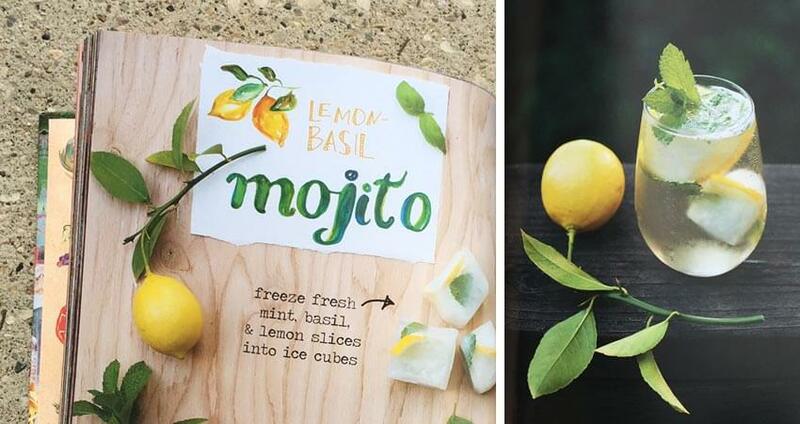 Complementing the photography are little paper cut-out images, a hand-rendered font, and adorable illustrated recipes appearing on the occasional page. 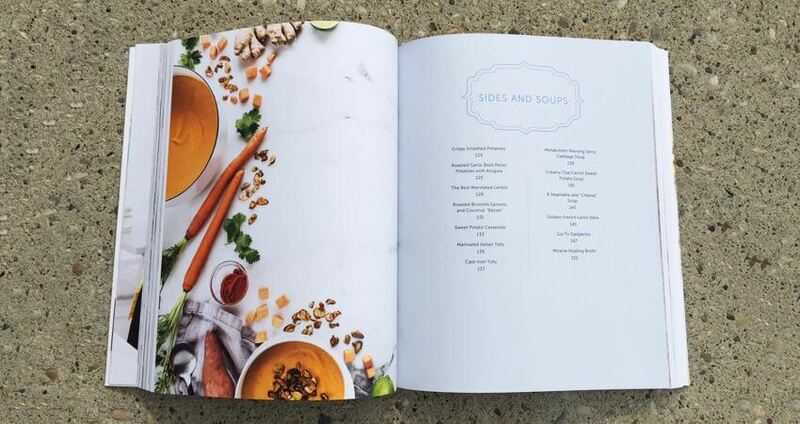 Another unique aspect of this cookbook is that it not only is separated into the typical categories of Breakfast, Drinks, Mains etc., but Yvette also highlights special occasions during the Winter season and the recipes associated with it. Overall, this book certainly feels Home Made. 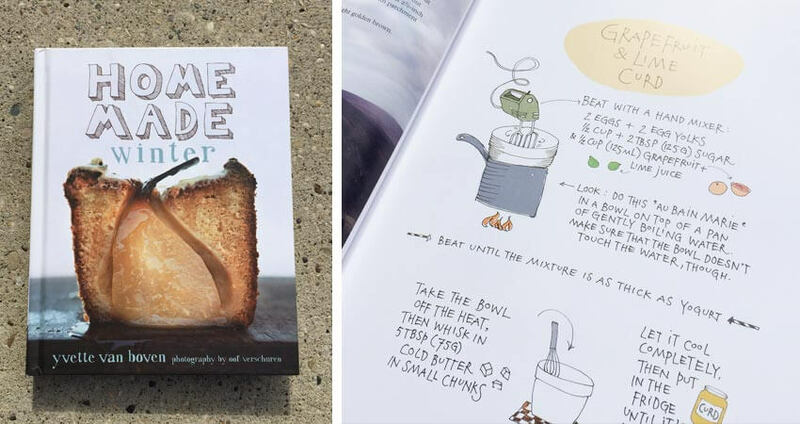 Fellow designer Tess Belke introduced me to this new cookbook which highlights local restaurants and their best recipes. 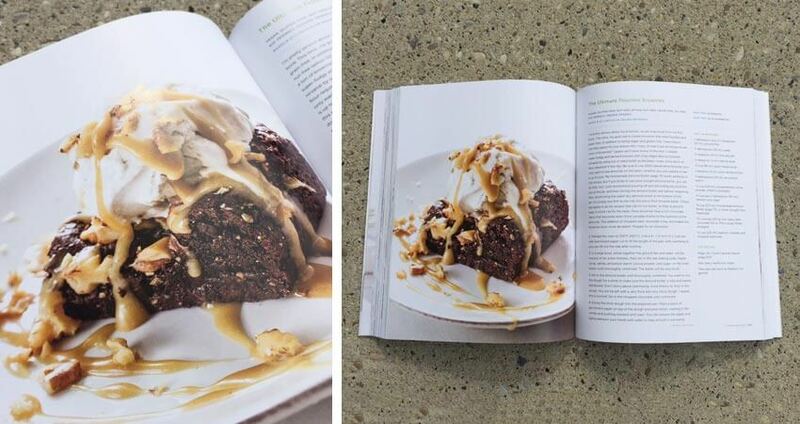 Overall, the design of the book is clean and modern with a grey cast on many images and mid-grey copy. What I enjoyed was the little blurb about each restaurant and the chefs that run them. Also, including the ingredients at the top of each recipe was a different approach I haven’t seen often, but is a smart choice. 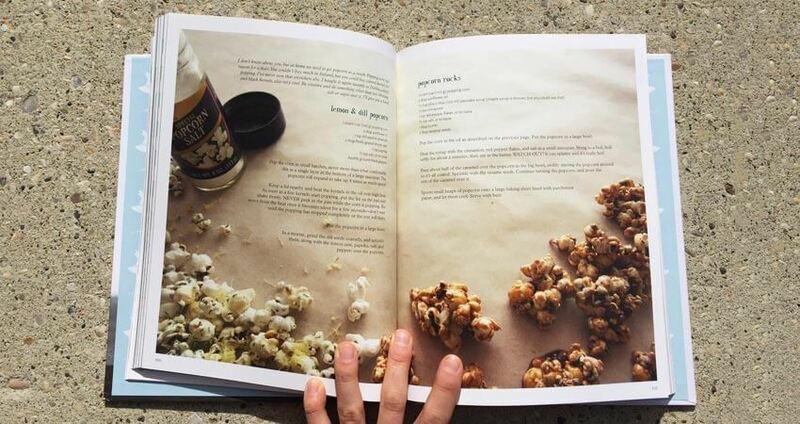 Ingredients are always the first question I have when flipping through a cookbook: “Do I have these in my pantry… do I need to make a trip to the store…?” There are also these bright little pops of red throughout the book which highlight the servings or different points of the recipe. 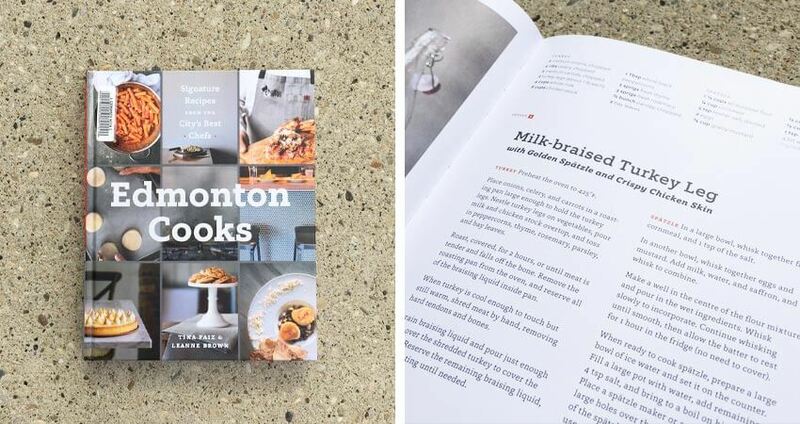 Overall, the book has a taste of hipster that makes me proud to be an Edmontonian and the great food we put on the table. If you’re a local foodie, it’s worth checking out. 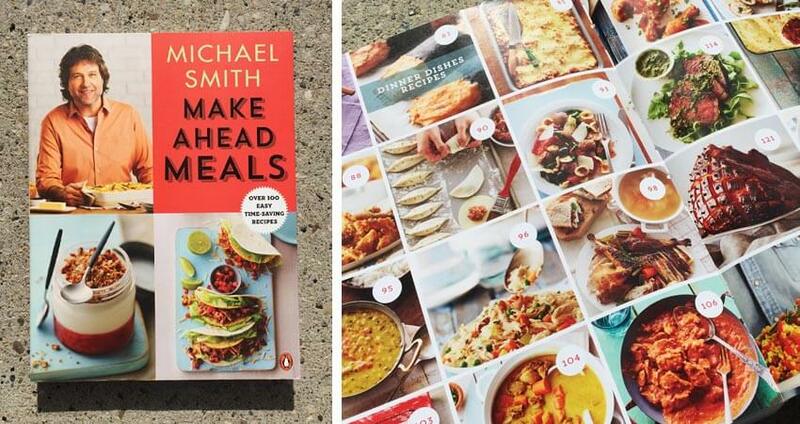 We hope you enjoyed this list of beautiful and delicious cookbooks! 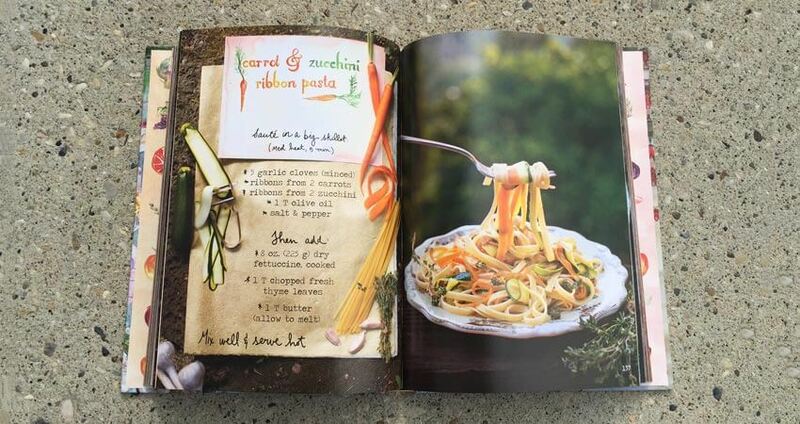 Let us know what some of your favourite cookbooks are!